Blue Pools maintains with excellent service both residential and commercial pools. Specializing in health club pools, apartment pools, public pools, and much more! 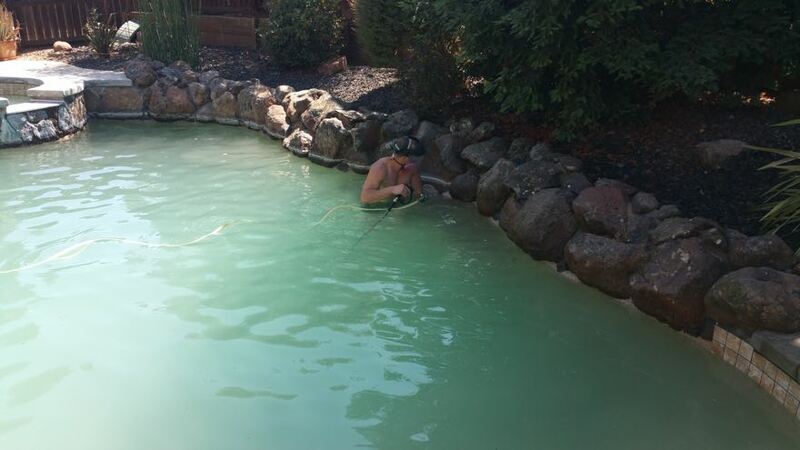 Plus every pool owner needs to experience the excellent services Blue Pools provides; your pool will be crystal clear and clean… A pool you will be proud to show all your friends and family. A pool that will look new and everyone will enjoy. Don’t wait call Blue Pools now! Blue Pools also excels in pool equipment repair. Blue Pools installs all the top of the line pool equipment brand names you can trust! 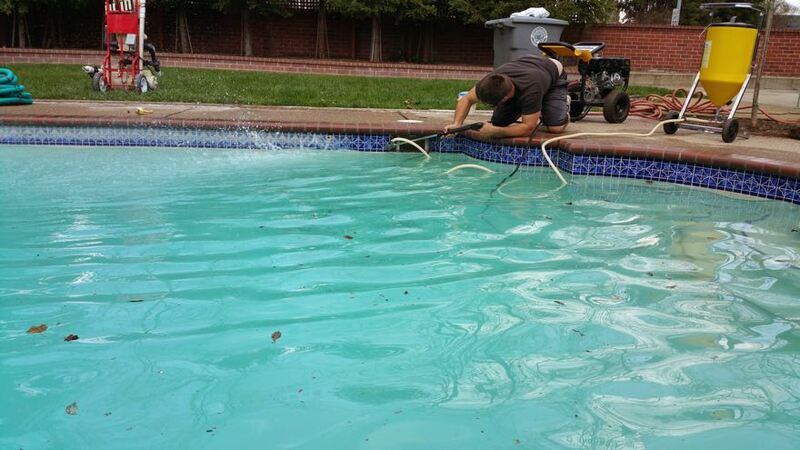 Blue Pools will ensure that your pool is fully functional and remains in excellent working order always! With Blue Pools’ emergency service, any pool owner has the ability to call any time for equipment problems and repairs or just to get the pool to be as blue as ever. Call Blue Pools and know you will have the best and most up-to-date service possible! Blue Pools with a friendly staff and superior customer relations. Always there to help with any question or concern our Blue Pools’ customers might have. 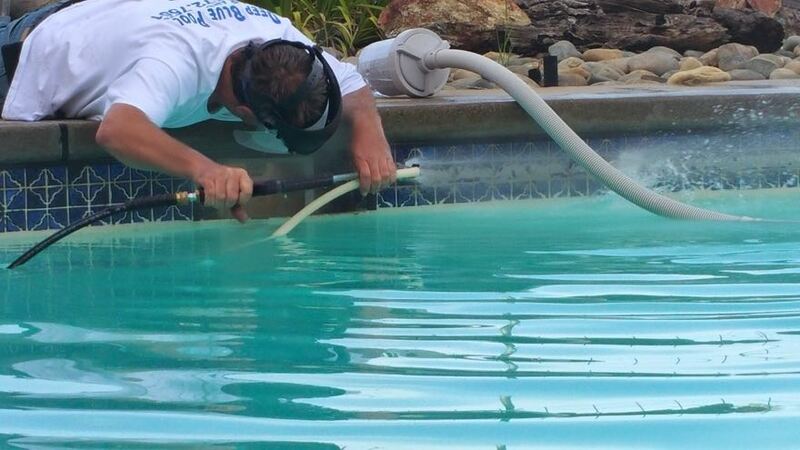 On top of our great pool maintenance and repair services, we also provide leak detection services. With our state of the art equipment, we can pinpoint the exact location of where the leak is and give you a detailed report on how much water is being lost and what its costing you. With our repair services we can get the problem fixed right away so you don’t have to lose any more money. We always pride ourselves into giving our customers the best satisfaction so you don’t have to go anywhere else. Call now to get a free estimate. 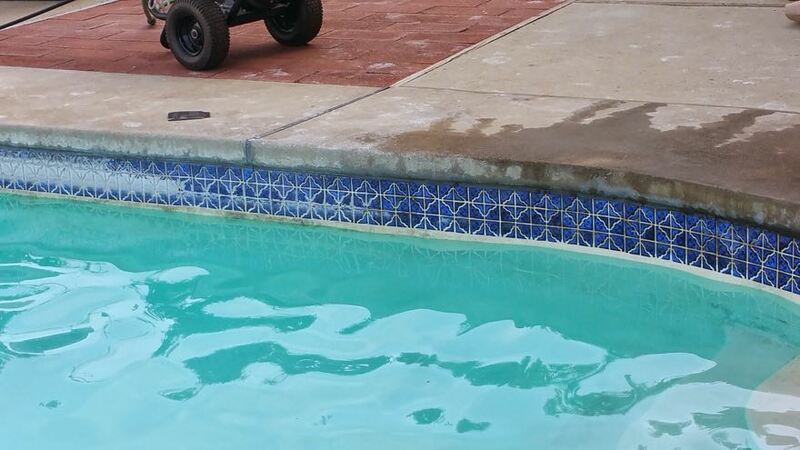 Blue Pools can leave your tile sparkling as it was just newly installed. We use a sand blasting process with special glass beads that remove all calcium buildup and any surface stains from the tile, rock, waterfall, or any other water feature. As soon as we are done, we remove all debris that falls below the surface at no extra cost. Why go the costly process of reinstalling tile if you can magically have it look like new at less than a 1/4 of the cost. Pictures below are copyright and taken by Blue Pools with OUR guys doing the work.